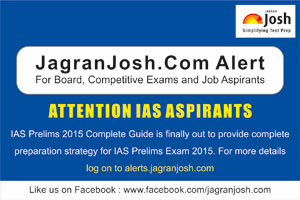 IAS Prelims 2015 Complete Guide is available now: Read for full details. Union Public Service Commission conducts Civil Services Exam each year which is popularly known as the IAS Prelims Exam among the candidates. The UPSC IAS Preliminary Exam 2015 is scheduled to be conducted on 23rd August, 2015. But due to the complexity of the exam there are various misconceptions and rumors surrounding the preparation of the IAS Prelims Exam. The candidates must be trying hard to work out a strategy for the preparation of the exam. Most of the candidates are facing hardships on what to study and what not to study for the UPSC IAS Prelims 2015. The most important thing is to decide about the books and the study material. The Basis of Preparation is good books and study material. This IAS Prelims 2015 Complete Guide is a complete information book which is meticulously designed to answer all the important questions creeping in the mind of the candidates. This e book helps the candidates to design a workable strategy for the IAS Prelims Exam by keeping all the important aspects in mind. Jagranjosh.com has come to the rescue of the candidates to help them formulate a step by step strategy for the preparation of the exam.. This e-book provides the candidates all those information/facts required to find the right direction for the IAS Prelims 2015 preparation. The e-book has also included background of the Civil Services in India. It also provides a pragmatic approach to the IAS Prelims 2015 and guides the students to evolve the best strategy to suit them.